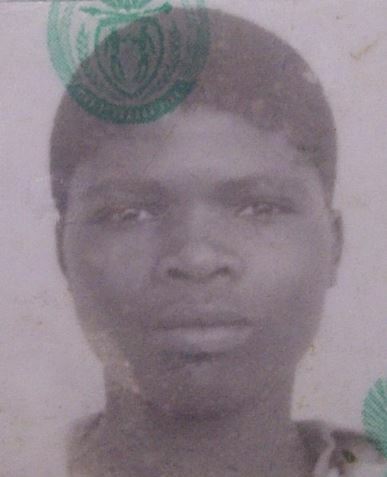 Thembinkosi Gwelani (27) was from Makhwaleni, Lusikisiki in the Eastern Cape. On 16 August he was not employed at Lonmin but had gone to the Koppie to take food to his cousin, Musa Gwelani, who was part of the strike. Thembinkosi was shot in the back of the head by police at scene 1. He left behind 2 brothers and 2 sisters. He financially supported all of his siblings as well as his young niece and nephew. According to his sister, Ntombekhaya Gwelani, "When the police started shooting at them, Thembinkosi was shot in the head and Musa tried to lift him, but he couldn't and the police were fast approaching so he let him go and ran for his life. The last time that Musa saw Thembinkosi was when he cradled him in his arms at the place where he fell."